Congratulations to The Mike Dangeroux Band for being the top booked live band on GigMasters in May! 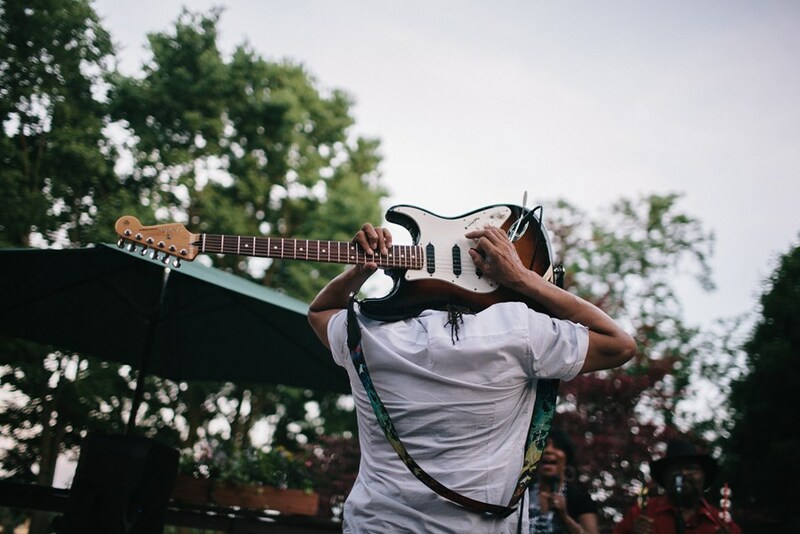 The band is based in the Chicago area and is comprised of many extremely talented musicians, proven by their 5-star rating from almost 150 clients. The Mike Dangeroux Band has performed nationally and internationally for weddings, festivals, corporate events, clubs - you name it! They also have an impressive list of musicians that they've played with over the years, from The Commodores to The Dixie Chicks! The band has been a GigMasters member since 2004 and currently has 273 bookings on GigMasters. We reached out to Mike to learn more about the band, their favorite past and upcoming events, and their secret to success. The Mike Dangeroux Band began 14 years ago in 2004 after I performed with several “jobbing” bands. 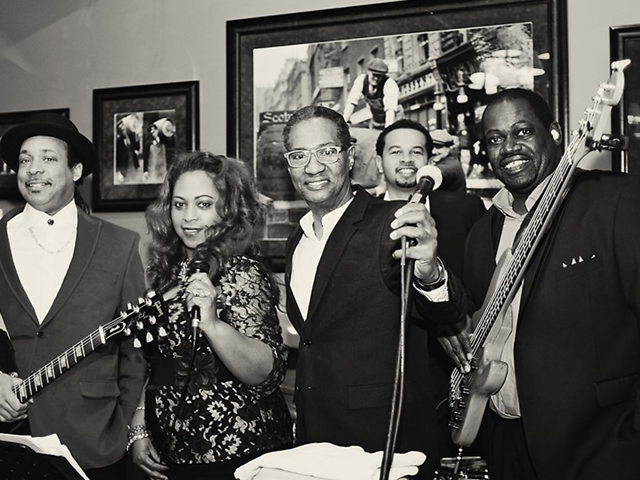 As a Chicago wedding, corporate, party, Blues, Reggae & variety band, we cater to all needs and provide musical magic every step of the way — whether you’re walking down the aisle, or bringing it down on the dance floor. We’re not limited to one style or genre; we’ll keep your party lively and dynamic with over 500 songs in over a dozen genres. What was one of your favorite events in May and do you have one that you're really looking forward to this year? On May 9th, we performed at the University of Illinois at The Chicago Forum for over 800 graduates! The stage was huge and we ROCKED the house! We are doing a festival on September 22nd in Dubuque, IA with over 3,000 attendees where our 9 piece orchestra will be performing. We're really looking forward to it! The musicians that make up our band aren’t only professionals with years of experience, they know how to have fun, too! What happens when you combine a force like that with your event? The chemistry becomes contagious! You've been a GigMasters member since 2004 - how would you sum up your experience with GigMasters over the years? I would like to commend GigMasters for providing such a superior and professional platform for full-time musicians such as The Mike Dangeroux Orchestra. The bookings we have gained from GigMasters have taken our career to a whole other level. Gigmasters truly is the life of the party! Clients Love The Mike Dangeroux Band! "This band is worth every penny! They rocked our world. On time. Ready to play. Completely professional on level of evaluation. Never have I felt such satisfaction in the hiring of musicians as I have with this band. They took reggae from traditional to jazz fusion and back again! The highlight of the evening, besides the actual wedding itself, was the hour and a half set Mike played for us. We were thoroughly enthralled and mesmerized during the entire performance Thank you Mike and GigMasters for coming thru in the clutch!" Congrats to The Mike Dangeroux Band on a successful month of May (and past 14 years!) and cheers to many more!